Network tower sharing enables operators to save costs, while improving network capacity and coverage by adopting a smarter business model. Mobiserve Holding, (www.mobiserveholding.com) the leading solutions provider for telecommunication infrastructure and engineering services in the Middle East and Africa predicts continued growth in Egypt's telecom sector as well as the Middle East. Growth is expected to be driven by demand for data services and new technologies such as Long Term Evolution (LTE) and mobile payment solutions. In Egypt, despite recent political events, Egypt's telecom sector still remains robust and is one of Africa's most developed. The country has more than 80 million subscribers, following year on year growth of 26%. Latest figures now estimate Egypt reaching 100% subscriber saturation levels. Going forward, network investment in the next few years is expected to be substantial in order to support subscriber levels as well as projected growth in Mobile Broadband. As a result, operators are looking for innovative ways to reduce costs while rolling out next generation networks and increasing profitability. This includes network tower sharing, where multiple operators can share a single tower, reducing the cost of ownership and maintenance while increasing network coverage. Now, Egypt's National Telecommunications Regulatory Authority (NTRA) has paved the way for Egyptian operators to adopt such a business model, having granted a network tower sharing license to Mobiserve Holding. Financial benefits for telecom operators from tower sharing are expected to be significant. "Building towers constitutes nearly 50% of total capital expenditure (CAPEX) for Egyptian operators faced with the dual challenge of maintaining profit margins while ensuring rapid rollout to keep pace with growth in subscriber numbers. Network tower sharing enables operators to overcome this challenge by reducing duplication of the costliest elements the network. Resulting savings can be from 20% to 50% of an operator's CAPEX and OPEX," said Eng. Sameh Atalla, CEO, Mobiserve Holding. As a provider of mobile tower sharing services, Mobiserve Holding enables operators to save costs associated with the running and maintenance of tower infrastructure. This improves network capacity by adopting a smarter business model as well as fuels innovation. 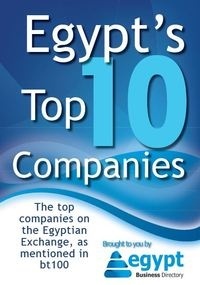 "Network tower sharing will be beneficial to the Egyptian telecom sector. It will enable operators to expand coverage into rural areas for instance, as well as continue to provide innovative services and latest generation coverage to subscribers while ensuring operators do not incur significant CAPEX in doing so," concluded Eng. Atalla. Since 1999, Mobiserve Holding has built a market leading reputation through its qualified employees experienced in the latest connectivity solutions in addition to their knowledge of local markets. With 13 offices now across the Middle East, Africa, and Asia, Mobiserve is the chosen infrastructure build out and engineering partner for a multitude of the region's leading operators including (Mobinil), (Etisalat) and (Vodafone) in Egypt, (Djezzy) and (Nedjma) in Algeria, (INWI), (Morocco Telecom) in Morocco, (Tunisiana) and (Orange Tunisie) in Tunisia, (Mobily), (STC), and (Zain) in KSA, (Du) in the UAE, (Mobilink) and (Uphone) in Pakistan, (Malitel) in Mali, (Banglalink), (Aktel) and (GrameenPhone) in Bangladesh. The company's full scope of services include turnkey communications solutions across telecommunications and satellite services, manufacturing of telecoms towers and shelters, telecom infrastructure development, deployment as well as infrastructure operations and management. To date, Mobiserve has deployed over 12,000 sites across Africa, the Middle East and South Asia.